The land dispute between the people of Uvwie kingdom in Effurun, Delta State and the Nigerian Army is stoking new tension in the oil city.As both parties dig in their heels, residents are fearful of the likely outcome that may put Effurun on the warpath against its ‘acquisitive’ tenant. AJIBOLA AMZAT (Features Editor) reports. 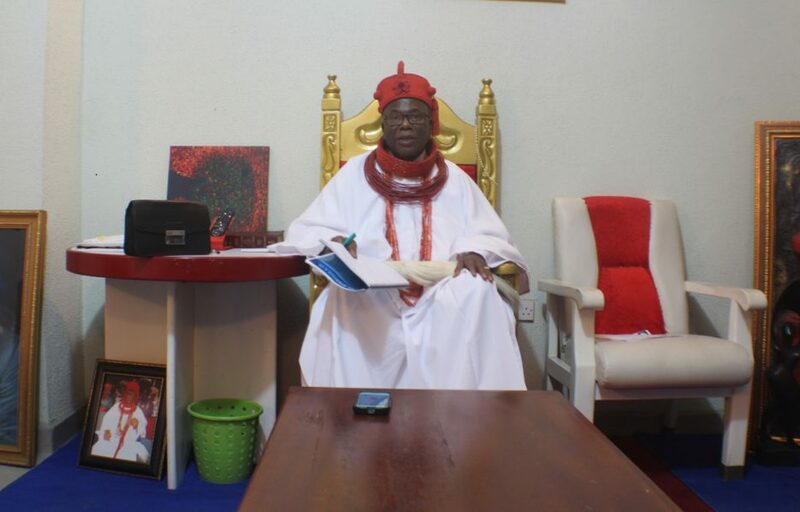 Armed with a bulky spiral bound file, the Ovie of Uvwie Kingdom in Delta State, His Royal Majesty Emmanuel Sideso walked in measured steps into the room in company of his two palace chiefs, Kenneth Okowe and Kenneth Agbamu. The content of the file has been the source of his major worry since 2008 when he ascended the throne. In the file are several letters neatly arranged, dated at different times and addressed to the presidency and other bureaucrats in Abuja. The list of the addressees includes President Muhammadu Buhari, the Senate President, and the Speaker of the House of Representatives. Others are Chief of Army Staff, Chief of Defence Staff, Chairman Independent Corrupt Practices Commission (ICPC), Chairman of Economic and Financial Crimes Commission (EFCC), Chairman, Presidential Advisory Committee against Corruption and the Commandant of the Nigerian Army Corps of Military Police. The land in question was acquired in 1975 by the Nigerian Army from the then Midwestern State government. In a letter with reference number NAE/2801/26/1/G, the land was acquired by the army for the construction of the present-day Effurun Barracks. Though the Land Use Act – which vests all land in the government that holds such land in trust for the people – was not yet promulgated at the time of acquisition, no compensation was paid to the families who owned the land as required by the law. But that is not the problem. When the construction of the barracks was completed in 1979, a large portion of the land was unused and lying fallow for years. Rather than returning the rest to the owners who depend on the land for survival, some serving and retired army generals became clever and started to sell the land to investors and speculators, and rent out the rest to small-time traders who can afford to own a shop in the Mammy Market. Effurun, like most places in the Delta region of the country, has the largest wetland in the country suitable for agriculture. But most of the land has been devastated by oil exploration, leaving a smaller size on which Uvwie people depend for farming. The king said his people conceded that much size of land to the army because the Federal Government made them believe it wanted to build the main campus of the Nigerian Defence Academy (NDA) established in 1964 in Effurun. “We believed army education will bring development to the community,” he said. But since the military academy was eventually located in Kaduna, the government decided to use the acquired land for the building of army barracks now known as 3 Battalion Barracks, Effurun. The total portion of land acquired in 1975 was 4,640 acres. The certificate of occupancy obtained by the army in February 1994 shows that the army later appropriated additional 436 acres. The extra, which puts the total land acquired at 5,076 acres, was taken without the approval of Uvwie people, the king said. Now, the land is sold at the price beyond the reach of the original owners, the people of Uvwie kingdom. And this is the cause of the latest protests. In late August, Uvwie women demonstrated on the streets, asking Abuja to intervene. The women were concerned that several letters written by the representatives of the kingdom and sent to the government have produced no significant response, except a brief visitation by officers in the Special Investigation Bureau. 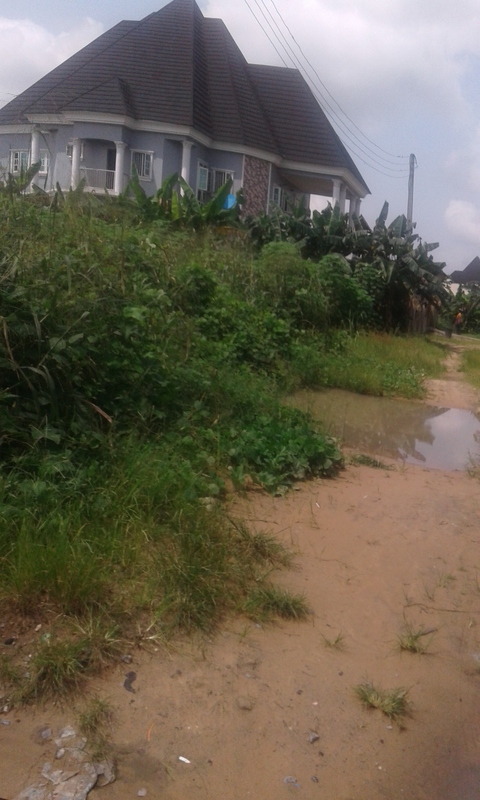 Though it appears the army has suspended the sales of the land in dispute according to a source from the barracks, the source advised The Guardian to call a number (08068216043) which belongs to one Sergeant Ekpeyong for confirmation. Ekpeyong, the source said, is the go-between in the transaction between his boss and land speculators in Effurun. 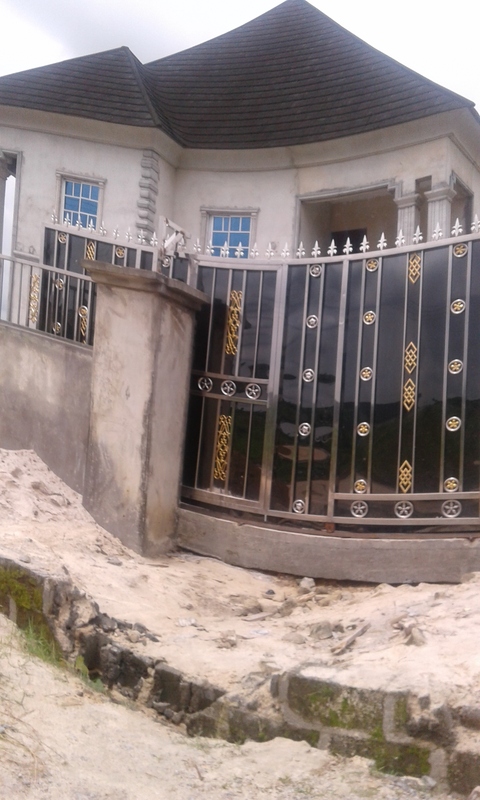 When The Guardian office in Lagos called the number, Ekpeyong said there is no more land for sale, but promised to call The Guardian reporter whenever there is a space for sale. 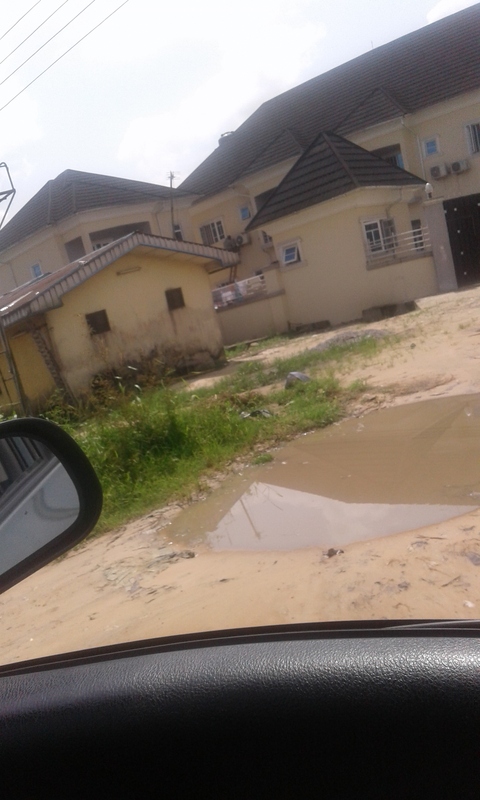 The Guardian investigation reveals that a plot of land at Post-Service Housing Scheme, a military quarters at Effurun costs N1.2 million. 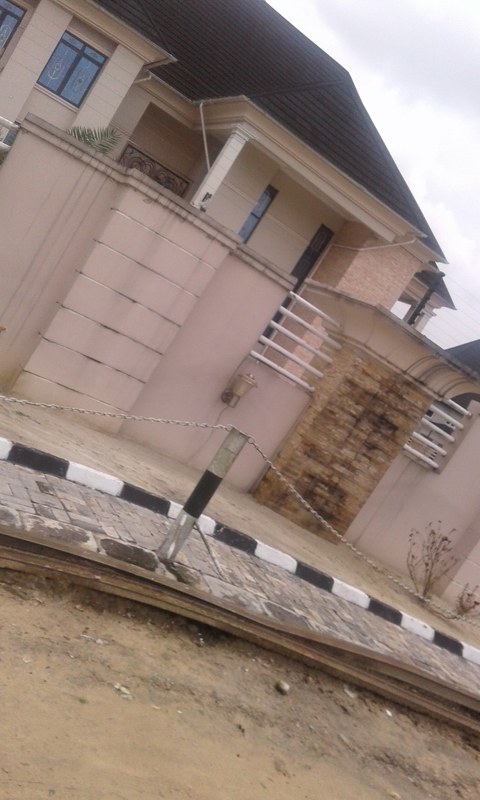 One of the mansions inside the Post Service Housing Scheme, Effurun. At the Mammy Market inside the 3 Battalion Barracks, the cost of land ranges from N25,000 to N30,000 per room size, according to residents. A civilian recruit, who works in the secretariat set up by the army in the market, offered to help The Guardian reporter secure a portion. According to the document obtained by The Guardian, the army had already sold 30 hectares in 2012 to a group called Delta Area Chevron Employers Multi-purpose Cooperative Society Limited (DACEMPCS) at the sum of N405 million. And part of the money (N108 million) was paid to the Nigerian Army Property Limited (NAPL), while N52 million was paid to the Diamond Bank Account of the Nigeria Army Welfare Mass Scheme and the balance of N45 million was paid to a private company account, Tambarey Multi Resources (TMR). Uvwie people suspect the company, TMR, is owned by serving and retired army generals. The Guardian searched for the company on the website of Corporate Affairs Corporations (CAC) and did not find the name. Notwithstanding, Uvwie people insisted that several commanding officers and other top brass in the army who had served at 3 Battalion through the instrumentality of NAPL, the army-owned registered company have personally profited on the land freely acquired for the public use. The Guardian called the contact number (+234 803 3202594) provided on the website of NAPL. The line’s owner who identified himself as a lawyer declined to answer questions. Similarly, there was no response to the interview request sent to the army company e-mail address, info@napl.com.ng. Meanwhile, the document obtained by The Guardian identified three generals as directors and shareholders of NAPL at the time the 30 hectares of Uvwie land were sold to Chevron cooperative society. They are Major General Mohammed Sani Saleh (rtd), Major General Joseph Aiyowieren Okunbor (rtd.) and Brigadier-General Charles Airhiavbere (rtd). Each of them holds shares of 200,000, 150, 000 and 150,000 respectively. The two retired generals contacted by The Guardian have confirmed that they were indeed shareholders of the NAPL, but denied doing anything outside the law. Sani who is now a prominent politician, and a senator representing Kaduna Central until 2015 when he was defeated by Senator Sheu Sanni, told The Guardian on phone that he and other directors held the shares in trust for the army. Sani said he had never owned or sold any landed property in Effurun. He also denied having anything to do with Tambarey Multi Resources. Similarly, Airhiavbere, a former Director of Finance and Account in the Nigerian Army and a member of NAPL at the formative level told The Guardian in a telephone interview that he is no longer a member of NAPL because he has resigned from the army. “Yes, you can see my name there because the company is in charge of army assets and this land falls under that jurisdiction. As at that time, I was a brigadier general and coordinator of NA assets. As one of the shareholders representing the army, it is possible that my name appears on the document, so there is no doubt about it. Airhiabere who is now a prominent politician in Edo State advised that Uvwie people should re-negotiate. “Once a property has been given to the army, it belongs to the army, so what they do with it is no longer the prerogative of the community they take it from. Rather, it is for them to try to negotiate. 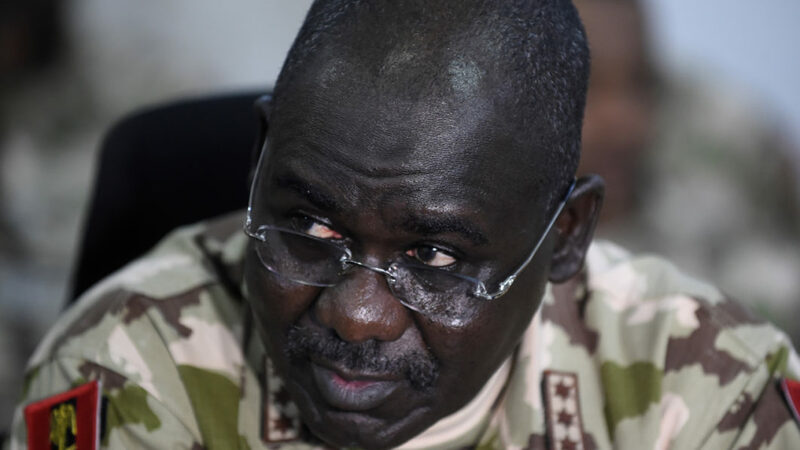 The Nigerian Army is a continuum, it doesn’t die,” he said. But Chief Otomiewo, who is also a former commissioner for justice and attorney general in Delta State, disagreed with the army general. He said the army violated the condition of acquiring the land on two grounds. First, by taking land from people without compensation, and second, by selling the land which was provided for public use to private owners, and keeping the proceeds in a private account such as the Zenith Bank account of Tambarey Multi Resources. “The army officers are smiling to the banks, while original owners of the land are living in abject poverty,” said Chief Otomiewo. In a letter dated May 3, 2016 and sent to the representatives of the Uvwie families, the army authorities said it is the legal owner of the land in question because it has in its possession a certificate of occupancy. The certificate, with ref no DTSR 60 and dated 25 February 1994, shows that 5,076 acres of land has been acquired by the army. But the President General of Uvwie General Improvement Union, Chief Austin Ukwuwrere, told The Guardian the c of o on which the army relies must be fake because it contains more acres of land than what was acquired and gazetted in 1975. 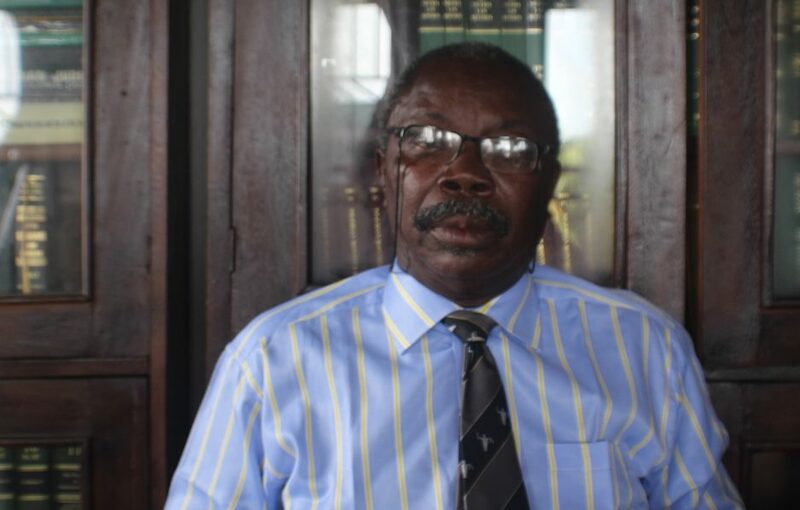 “How can the army claim to have 5,076 acres of land on the certificate when what was acquired according to the gazette of 1975 was 4,640,” he said. The Delta State Commissioner for Lands, Survey and Urban Development, Mr Chika Ossai, in a telephone interview with The Guardian, said it is unlikely that the c of o with the army could be fake. He said nobody can acquire land in Delta State without the due process. “If the army has a c of o, they must have followed due process. And they could not have got the certificate without the involvement of members of Uvwie community. “The problem could be that some of the people agitating now may not be part of the discussion. And if they were not aware at the time of acquisition , they may not know the detail. The commissioner though admitted he has not sighted a copy of the c of o in question to know whether it is fake or not. which is currently occupied by the ShopRite, a supermarket chain in most Nigerian cities. The army insists that such re-allocation is in line with the reason why the land was acquired. In contrast, Otomiewo argued that the army has also leased and sold land to investors as well as land speculators with a single purpose of making profits, and that such commercial interests do not fall within public purpose. He listed the lands sold to include the one located along NPA Express Road and Warri/Sapele Road, Effurun. 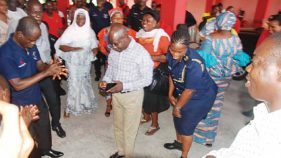 The Guardian visited the Post-Service Housing Estate at Effurun and saw an array of mansions, each of which estate valuers estimated to be worth millions of naira. The Guardian sought an explanation for the presence of such huge buildings on land allocated for the construction of army barracks. A senior army officer, who spoke to The Guardian but declined to be identified because the 3rd Battalion is now under the 6th Division in Port Harcourt, said what the people are complaining about is appropriation, and not about land grab as the media represents it. For response, The Guardian contacted the General Officer Commanding of 6 Division Maj.-Gen. Enobong Udoh who now controls 3 Battalion. Instead he asked the reporter to speak to the Director of the Army Public Relations, Major General Sani Kukasheka Usman. The Guardian contacted General Usman but he said he had already instructed the Division’s spokesman, Colonel Aminu Iliyasu, to speak to The Guardian. Col. Iliyasu denied receiving any instruction to speak from his boss, and has not spoken to our correspondent as at the time of this publication, despite a week-long wait. The company says its goal is to explore and harness business opportunities towards improving the welfare and well being of the Nigerian Army personnel both serving and retired, their families as well as the general populace. With this vision, army personnel who spoke to The Guardian in confidence justify the selling of property such as the land in dispute in Effurun. But the Uvwie people appears determined not to let go of the land, especially the portion acquired without express approval of the families. At the moment, they said they have put their Abuja demonstration on hold because their leaders have advised against it. The leaders want their people to exercise patience till Abuja responds, but it appears the people’s patience are running out as days pass by. A young man who declined to be identified said they would not wait forever to demand what is theirs. 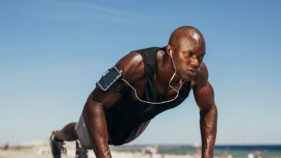 That is also the position of the Ovie. But for how long is the king prepared to press for the return of his people’s land? “I will continue till I pass on, till justice is given to my people. But I will not go on the violent way. I will follow the due process and the way of peace,” the king said. As it appears, the task before the king is to also rein in the tempers of his subjects that threaten to flare anytime soon.